There are many reasons that anyone can be arrested in Las Vegas. If you are breaking the law, and you were caught in Las Vegas, expect to be put in jail, and expect to become one of the inmates in jail. 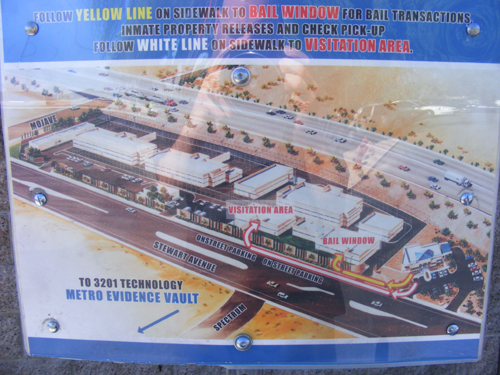 This may be new to someone who is from out of town, or someone who has never been in trouble before, so here is a short guide on what to expect if you ever become one of the Las Vegas jail inmates. What is the Las Vegas jail? 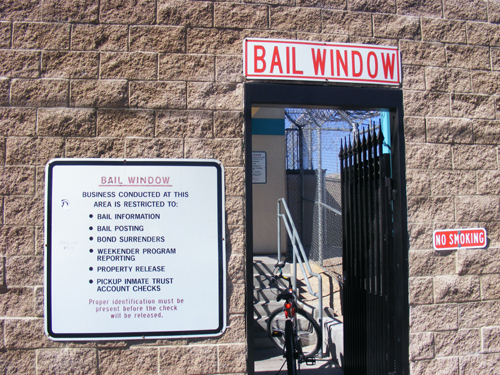 The jail in Las Vegas is similar to any you would find anywhere in the USA. Offenders for anything from public drunkenness, to assault, to stealing, and anything above and beyond that, can end up in jail and become one of the inmates. This is where people that have done something wrong and unlawful are held against their will, until they get bail, or can go to trial and plead their case. If you end up losing your case, you can expect to be incarcerated for a longer time, depending on the case. Where is the Las Vegas Jail Located? There are several locations where you can be taken if arrested in the city, so if you need to know a specific location, here is a short list of them. 1. 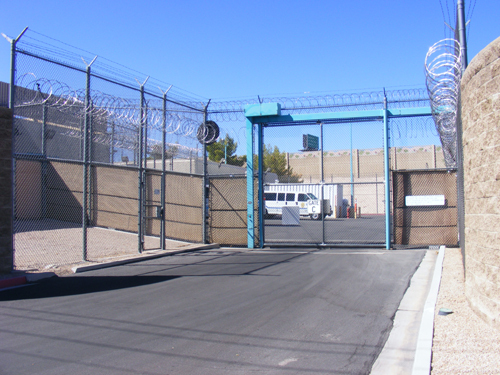 Clark County Detention Center- 330 South Casino Center Las Vegas, Nevada 89101. 2. 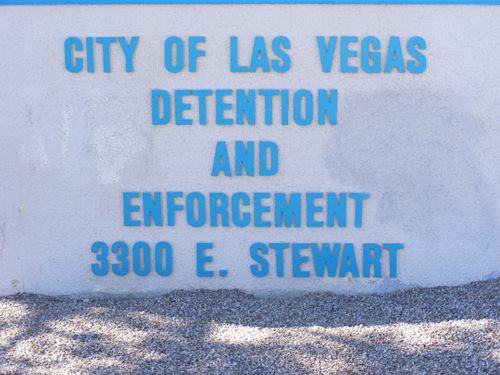 City of Las Vegas Detention Center 3300 Stewart Avenue Las Vegas, NV 89101. It’s also possible when being arrested that you may end up at the Henderson City Jail as well. So if you’re looking for an inmate and you’re not sure where they might be, try all three of these centers. What Happens to Las Vegas Jail Inmates Once Detained? Once one of the inmates are detained, they go through processing. All Las Vegas Jail Inmates will have their picture taken, usually with a background of numbers that help to determine your height. When the picture is taken of the inmates, they are required to hold up a number that is given to them, which becomes their inmate number. You will usually have fingerprints taken, and you’re required to give your information such as name, address, and Social Security Number. This goes on file, in case it’s needed at a later time, or to possibly use as evidence against you in your upcoming case. You may, at the time of being booked and processed, be given a bail amount, depending on the charges. If you are not given a bail amount at that time, you should expect to get a bail amount; if it is allowed in your case, once you go to your first court hearing. You will want to push for a bail amount as soon as possible if you’re looking to get out of jail quickly. You are allowed one phone call, and you can call someone to help bail you out, or even just to let your family know that you’re okay. You may want to consider who you’re going to call when making your one phone call, because usually it is just one, and if you don’t get someone, you may leave a message, but you’re not likely to be given another phone call, just because no one answered. At some point, you will be searched and all of your belongings taken off of your person including cell phones, money, watches, jewelry, and especially anything that can be considered a weapon, inmates are not allowed to have personal belongings while detained. All of your items are usually put in a bag or a bin that is marked with your name and information, so you can retrieve your items once you leave. Usually, you will be put in a holding cell with the clothes on, that you came in with. You’re required to wait in this cell until you can either go to trial or get bail. How Do I Find An Inmate Located in the Las Vegas Jail? If you’re looking for someone who has been arrested, you can call any of the 3 possible locations that anyone detained in the city will be brought to. You can also check out the government website for the city, and type in the person’s first and last name and be able to find out if they are in the system. How Do I Get An Inmate Out of the Las Vegas Jail? If the person has a bail amount set already, you can post bail for them to get them out. You can also go to a bail bonds company if you need help paying on the bond. If a bond is not possible at this time, you can always wait until their court date to see what your other options may be, or if the charges will be dropped.